A spectacular appetizer! Sweet, smoky and salty, all in one bite! 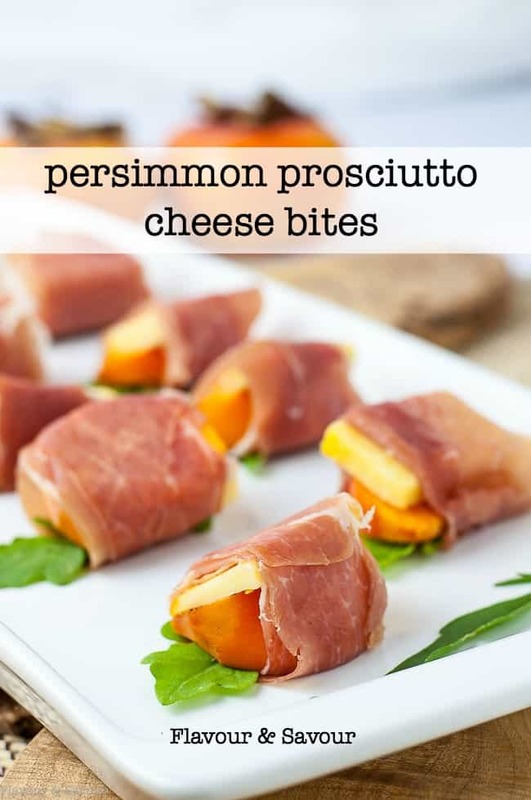 Here’s something a little different for your next appetizer: Persimmon Prosciutto Cheese Bites! They’re a spectacular appetizer for fall or winter when persimmons are in season. 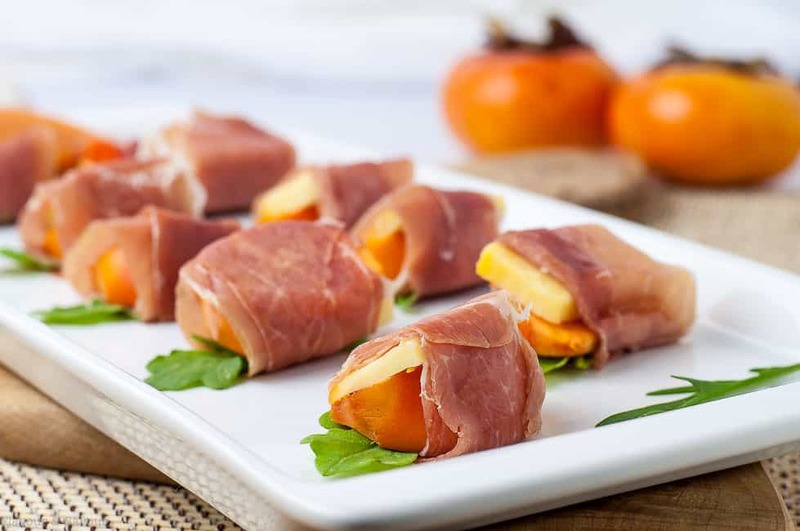 Wrap a slice of fresh persimmon, a small piece of smoked cheese and an arugula leaf with a strip of prosciutto. 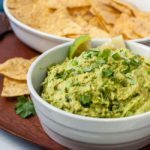 Sweet, smoky and salty, all in one bite! I passed over persimmons in past years, only because I had never tried them before. During our recent trip to Spain, we noticed them in supermarkets. We decided to try some, loved them and looked for them once we arrived home. I discovered they are easy to find here in local stores and we have enjoyed them ever since. 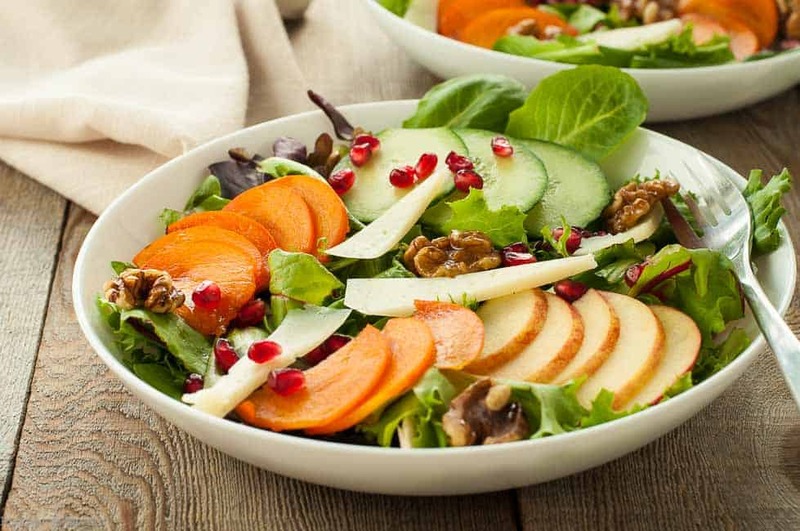 I made this Persimmon Pomegranate Salad with Maple Walnuts last week. 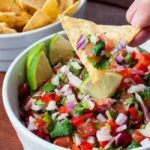 Today I’m sharing these tasty one-bite easy persimmon appetizers. 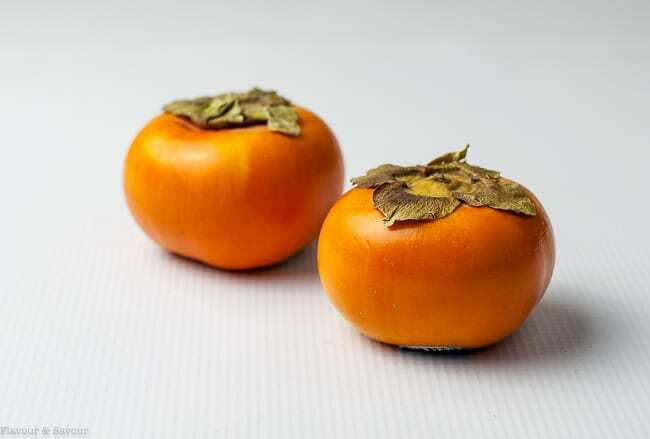 There are two varieties of persimmons generally available in North America, the Fuyu and the Hachiya. The Fuyus are the most popular. They are squat and round. Look for those without severe blemishes on the skin. You can peel them if you like, but the skin is definitely edible, and it’s a good source of fiber. The Hachiya persimmons must be fully ripe to be eaten (or they’ll taste horrible) and once ripe, they are good in baked goods. They are heart or acorn-shaped. They’re made with sweet fruit, smoked cheddar cheese and salty cured Italian ham. So good! I added an arugula leaf to each of them because I love that peppery flavour, but a basil leaf would be tasty, too. 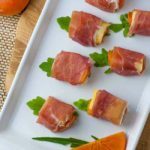 So if you’re looking for an appetizer with a difference, I think you’ll love these Persimmon Prosciutto Cheese Bites! 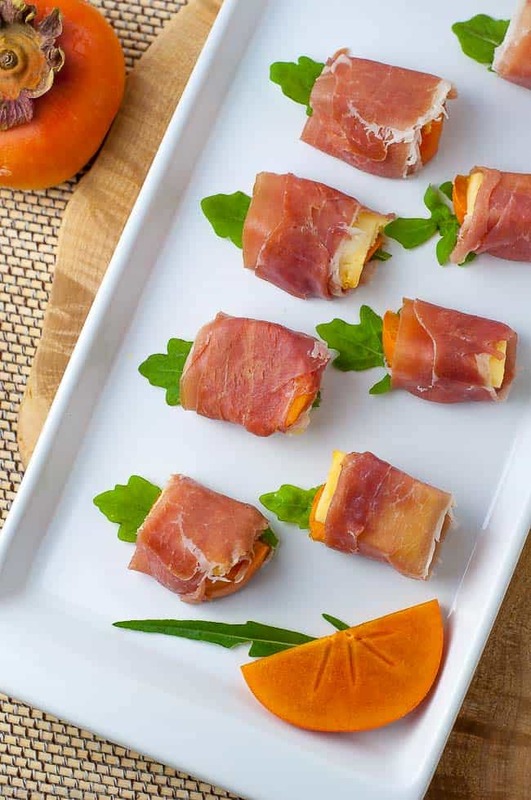 These Persimmon Prosciutto Cheese Bites are sweet, smoky and salty, all in one bite. 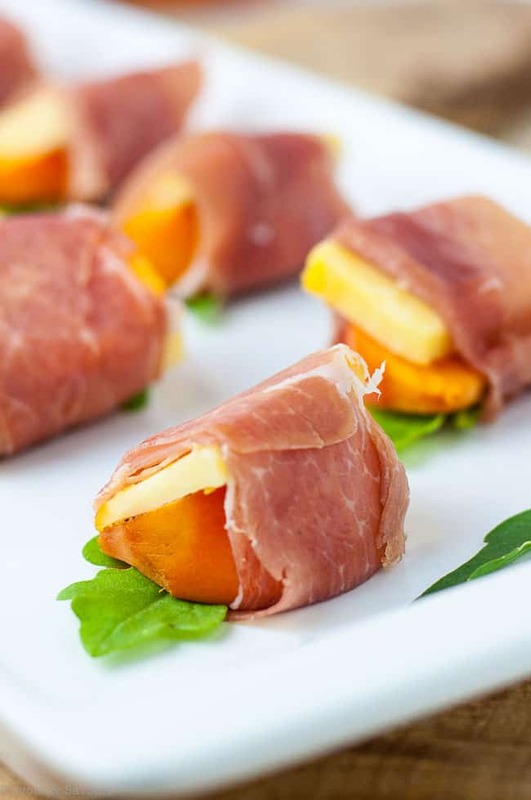 Wrap persimmon, smoked cheese and arugula in prosciutto and serve! Slice prosciutto slices in half lengthwise. Stack a slice of persimmon, a small thin slice of smoked cheese, an arugula or basil leaf. Wrap with a strip of prosciutto and arrange on a serving plate. Refrigerate and serve. Thanks Dawn! They were snapped up quickly–unusual and delicious! Ooh that looks intriguing and delicious! 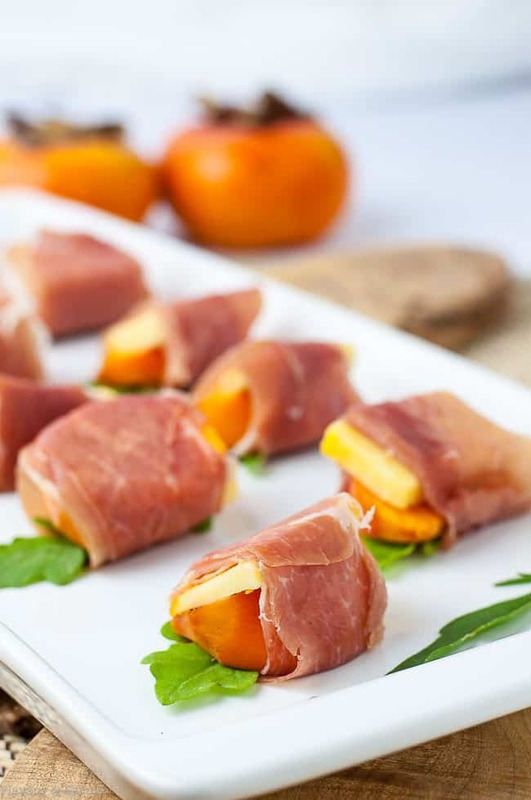 Almost like a different take on the classic cantaloupe and prosciutto. Thanks Gabby! Yes, very much like that, but the persimmons are a little more firm and hold up nicely. I must try persimmons! I know the smoked cheese and prosciutto would be delicious! I’m sure that with the persimmons, these pretty morsels must be amazing! Thanks Cathy! Hope you get a chance to try persimmons this month before they’re gone for another year! I’ve never bought persimmon, only because I’ve never know what to do with them. This is such a nice little appetizer. And now I know how to use persimmon. 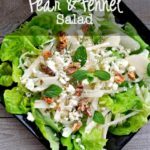 They’re good simply sliced and added to a salad, or just eaten plain! They’re quite plentiful in stores here at this time of year, and they’re not expensive. Hope you get a chance to try them–just be sure to look for the Fuyu variety. Love this appetizer and all things persimmon! 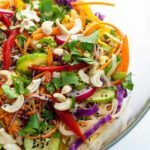 It’s such a versatile fruit, that goes along with sweet or savory.